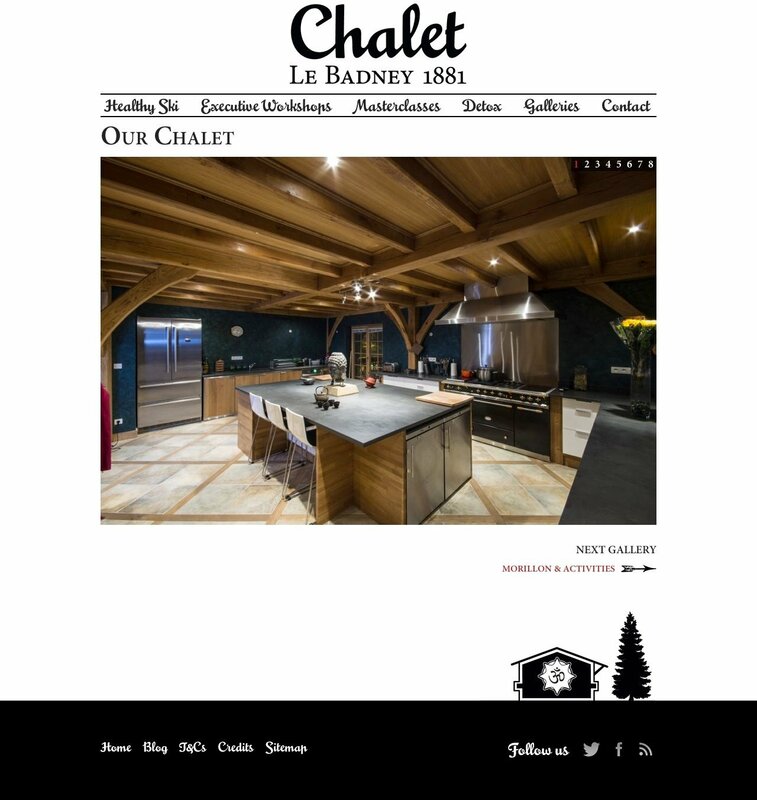 When author, life coach and management consultant Andrew Berger's project to restore a 19th Century house in Morillon was nearing completion he asked me to develop a website to publicise his latest venture. Andrew wanted a site which would portray his property in the best possible light and help promote the various activities taking place there. 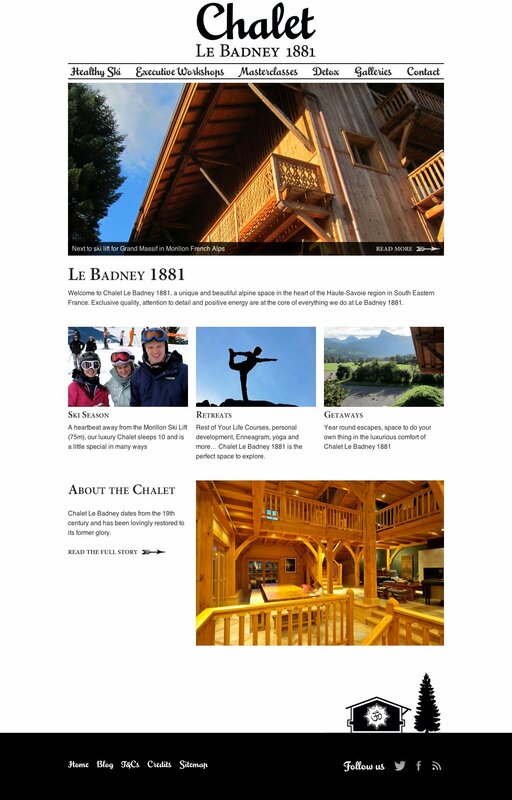 The chalet hosts yoga and spiritual retreats and executive training courses all year round and is also run as a ski chalet during the Winter season. Creating a visual and technical solution which worked for the many different aspects of what goes on at this unique venue presented an exciting challenge for me as both a web designer and coder. I started out with the typography, basing this on the logo assets supplied by designer Marc Azzopardi and using a mixture of old-school serif and script fonts to create a 19th Century feel. The rest of the design came easily thereafter and, having visited the chalet before the project started, I was happy that the look of the site was in keeping with the reality of the place. The site is implemented using WordPress and makes extensive use of custom post types for staff and teacher biographies and event management. The codebase is organised so as to fully-seperate data retrieval and manipulation from presentation which will facilitate implementation of a responsive design as a future project phase.